If you are considering having laser vision correction (LASIK), your goal is to decrease your dependence on glasses or contact lenses. At Newsom Eye, our goal is to go well beyond that. We want you to have the quality of vision, improved lifestyle, and peace of mind that thousands of patients have found with their Newsom Eyes. uses a laser to change the shape of the cornea, thus allowing light to focus directly onto the retina. This refocusing of light is what allows patients to regain clear vision and reduce or eliminate the need for glasses or contacts. LASIK is one of the most commonly performed elective procedures in the world. LASIK is an efficient and virtually painless procedure, resulting in the majority of our patients seeing 20/20 or better the very next day. Newsom Eye Custom LASIK goes a step further by providing patients with the expertise of our surgeons and the latest technology to offer unique treatment options for every patient. Our surgeon, T. Hunter Newsom, MD, has been awarded many surgical accolades, including Best Eye Surgeon by Tampa Tribune’s “Best of the Bay” and Best Eye Surgeon, Best Eye Doctor, and Best Eye Clinic by Sebring’s Highlands Today’s “People’s Choice”. In addition, Newsom Eye was presented with the South Tampa Chamber of Commerce “Business of the Year” award. Our Board Certified Optometrists have over twenty years of experience and specialize in pre-operative and post-operative LASIK care. To date, they have co-managed tens of thousands of laser eye surgeries. Newsom Eye is excited to announce the next generation for LASIK in Tampa with Contoura. The Wavelight Contoura Topographic Guided laser system is one of the most technologically advanced excimer laser systems available in the United States. In the FDA study, this laser technology produce the best results compared to previous FDA studies for myopia (nearsightedness) and myopic astigmatism (nearsightedness with astigmatism). This major leap forward in technology utilizes the WaveLight® Topolyzer ™ VARIO analyzer, which is capable of capturing extremely detailed maps of the cornea, using 22,000 data points. This information is used to analyze aberrations and corneal abnormalities. 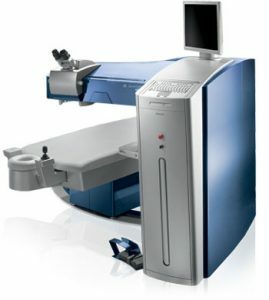 Once a patient’s unique vision is captured using the WaveLight® Topolyzer™ VARIO analyzer, the data is transferred to the WaveLight® Contoura computer. Next, the treatment is calculated using measurements analyzer data as well as combined information from the patient exam. This results in a highly detailed and precise level of vision correction that can allow for improved night vision, a better quality of vision, and often produces better than 20/20 vision. The ability to provide unique treatment options for every patient is how we provide Newsom Eyes with Newsom Eye Custom LASIK. At Newsom Eye, we utilize All-Laser LASIK technology with the femtosecond laser. This technology replaces the older, outdated microkeratomes, i.e., “manual blades” of the past. Femtosecond laser technology virtually eliminates complications that were associated with outdated microkeratomes, allowing for a more precise and predictable outcome. 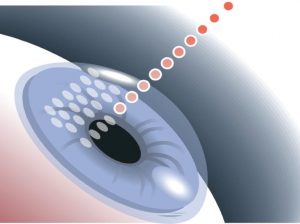 Bladeless LASIK technology works by utilizing computer guided software to create a tiny series of bubbles within the cornea. The bubbles are extremely tiny and concentrated, allowing for the protective corneal flap to be created. 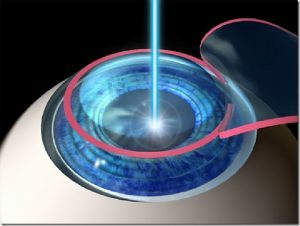 By using an ultra precise femtosecond LASIK, patients that were previously not deemed good candidates for LASIK, due to thin corneas or other issues, might be good candidates with this bladeless LASIK technology. Along with Contoura Topographic Guided technology, this advanced bladeless LASIK technology produces the finest results available. Dr. Newsom has performed thousands of corrective procedures and eye surgeries and was trained at the Mayo Clinic. You will not find a better solution for bladeless LASIK surgery anywhere. Newsom Eye is changing the way bladeless LASIK eye surgery is performed. Many LASIK providers operate out of an office location or even in a strip mall. We offer a state-of-the-art LASIK surgery center. 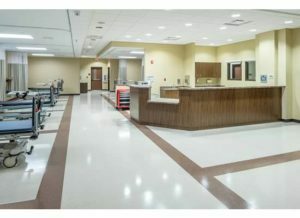 Newsom Eye sets a higher standard for surgical facilities, using only accredited, sterile surgical centers for total vision care. When it comes to the care of your eyes, you deserve the same surgical environment as any other surgery. The Tampa Surgery Center is accredited by the Accreditation Association for Ambulatory Health Care (AAAHC). This is the highest nationally recognized standard of care for outpatient surgery centers. To schedule a free LASIK screening, please call 813-908-2020 and select option 2.